So excited to have you back for another blog hop with the International Thinking Outside the Box Design Team! 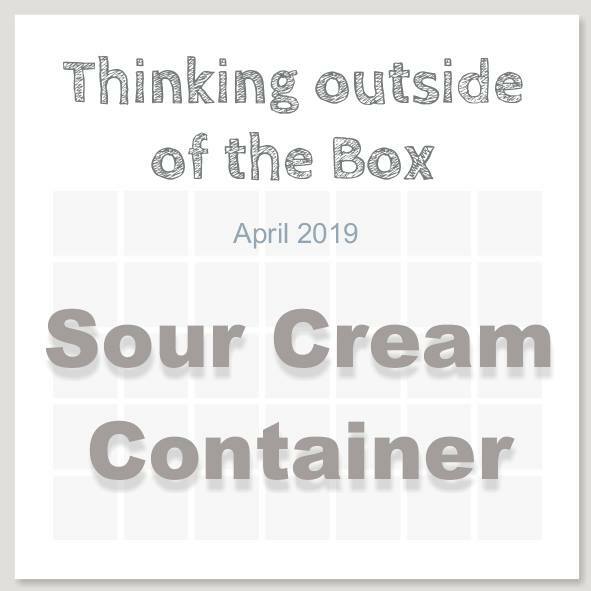 This month we are sharing Sour Cream Containers! 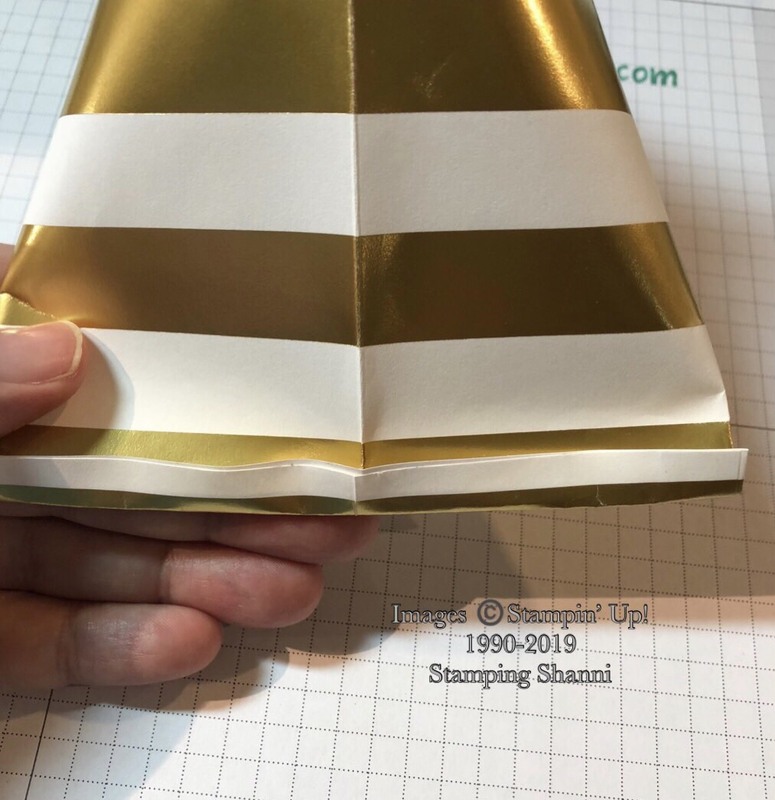 For my first container I used the Gold and White Striped Treat Bag. It made the job really easy. 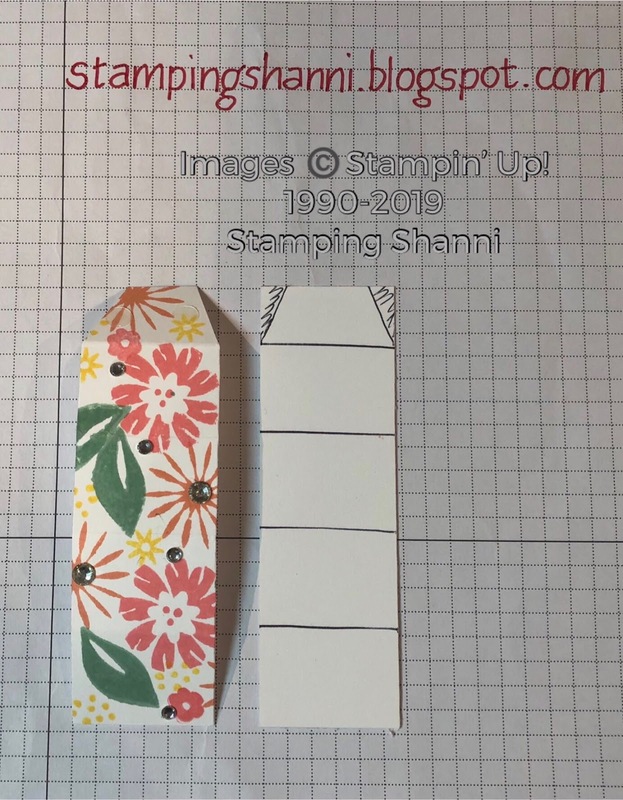 I simply trimmed off the top pinking edges. I folded the edge over slightly and burnished along the folded edge with the bone folder. The tag was stamped using the Climbing Roses stamp from the Occasions Cattie, heat embossed in Gold. 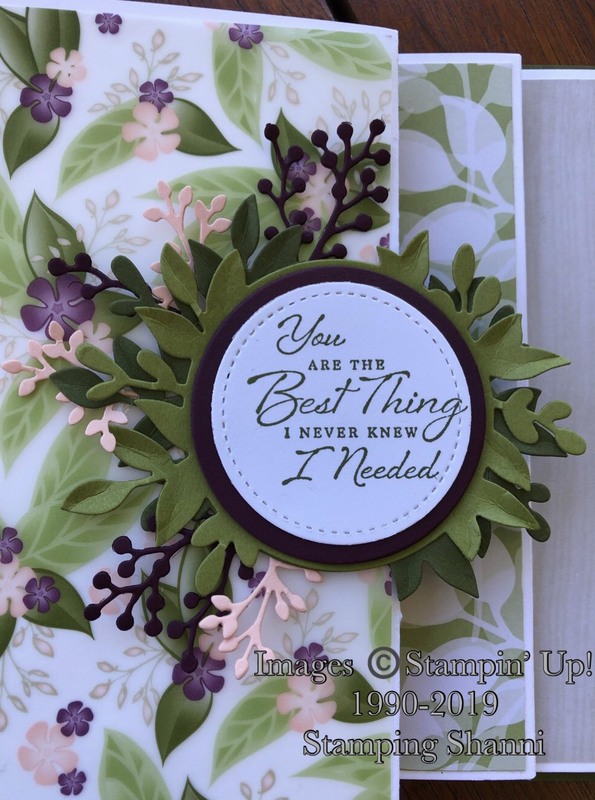 The sentiment from the same set is stamped in Mossy Meadow ink. I trimmed the top of the tag with the Scalloped Tag Topper Punch. The gold and white ribbon is from the Holiday Cattie and retired and I tied it off with the Metallic Gold Thread. 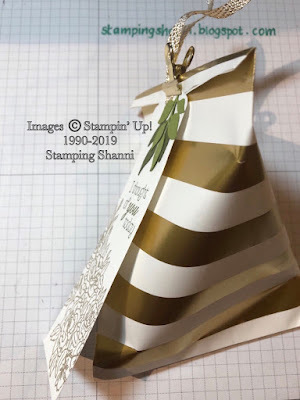 I love the simplicity if the gold on white and the touch of green marries is with the leaves that I cut using the Foliage Frame Framelits in Mossy Meadow and the Old Olive leaves using the Wonderful Floral Framelit Dies from the Occasions Cattie. Sticking with the gold theme I used a small gold Library Clip to keep the container closed at the top. I plan to use the package for some easter treats this weekend. 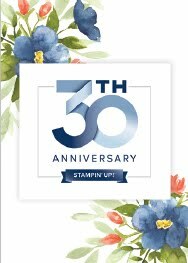 I can also imagine that it would make a great wedding favour or memento from a milestone birthday party or anniversary. 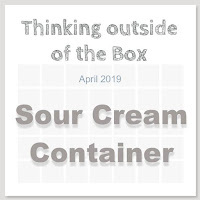 The Sour Cream Containers look fabulous from the side too as they sit very nicely once they have goodies inside. 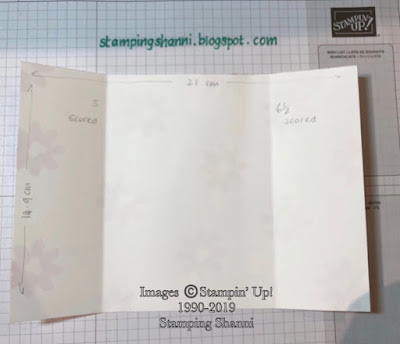 This is such a simple container, coupled with relatively simple stamping. 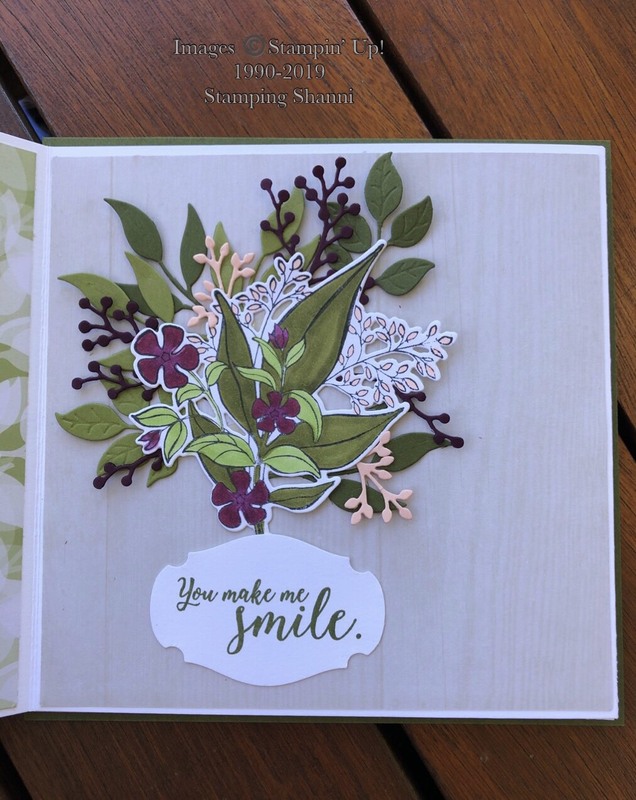 Featuring the stamped images from Bouquet Blooms and some extra foliage cut from Mossy Meadow card stock. Measurements are really simple. 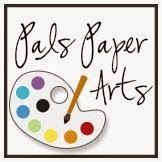 Half an A4 page scored at 5cm and 6.5cm. Randomly stamped flowers in Poppy Parade ink and the sentiment from the same set stamped in Mossy Meadow ink. Literally stick the back and base together and the top at the cross 45 degree. so that the top and the bottom end up stuck opposite ways. This is a terrific container for party favours and small treats, perhaps something that can be sent to school with the kiddies - especially where you need to make a lot of them! 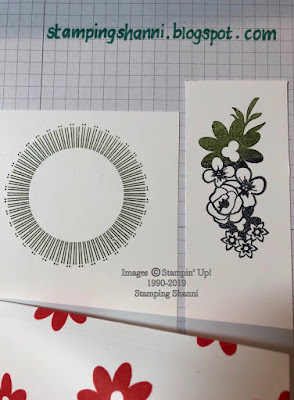 I used the other stamps from the same set - the circular "sun rays" are stamped in Mossy Meadow and the floral bouquet stamped half in Mossy Meadow and the other half in Tuxedo Black Memento Ink. I cut out the sun-ray image with the largest circle from the Stitched Edge Framelit Dies. 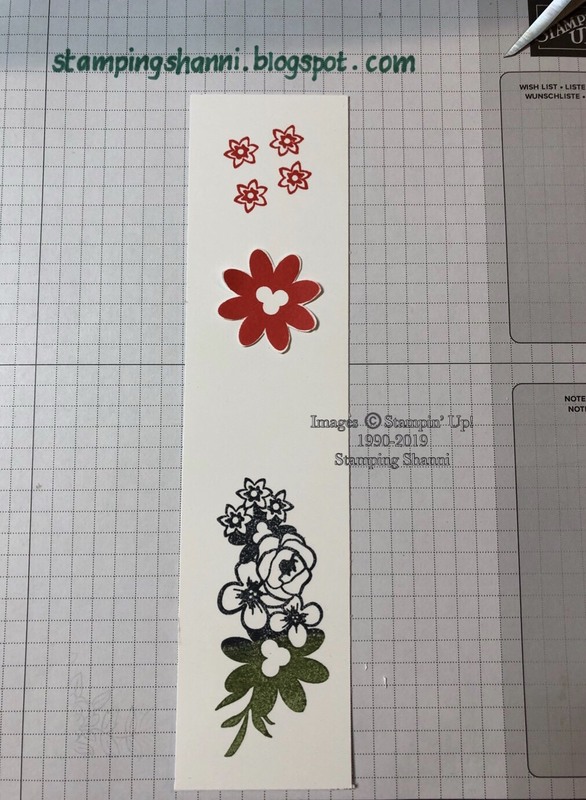 I stamped an additional large flower and two lots of the smaller flowers in Poppy Parade. I fussy cut all of the images. 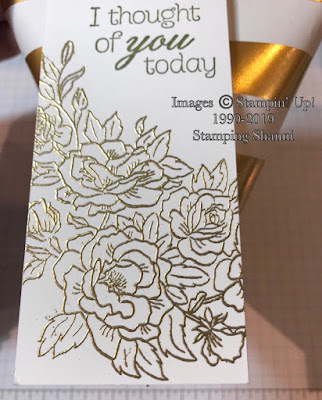 I coloured some of the flower using Light and Dark Daffodil Delight Stampin' Blends. 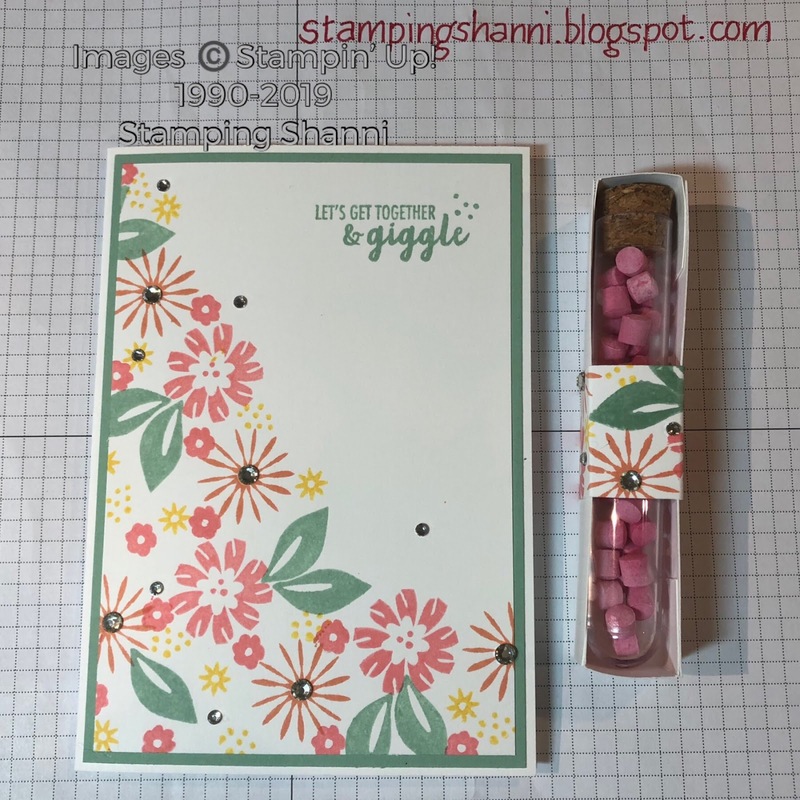 I adhered the flowers over the black stamped images to mask the black and green. 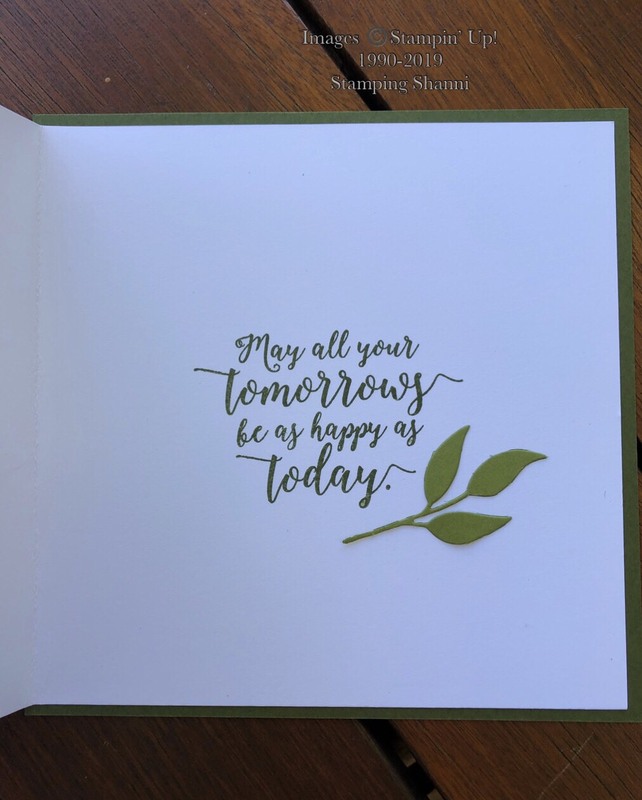 I then adhered the two leaves which were cut out using the Foliage Frames Framelit Dies in Mossy Meadow behind the bouquet flowers and dimensionalised them on the sun-ray image. The sentiment is from the same set. 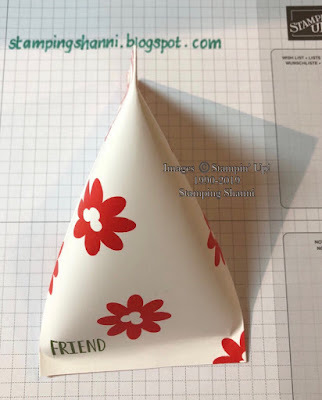 This is a really simple container and one that you can make a large number of in a short time. 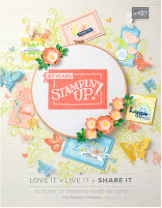 I hope you feel like making a few this weekend! 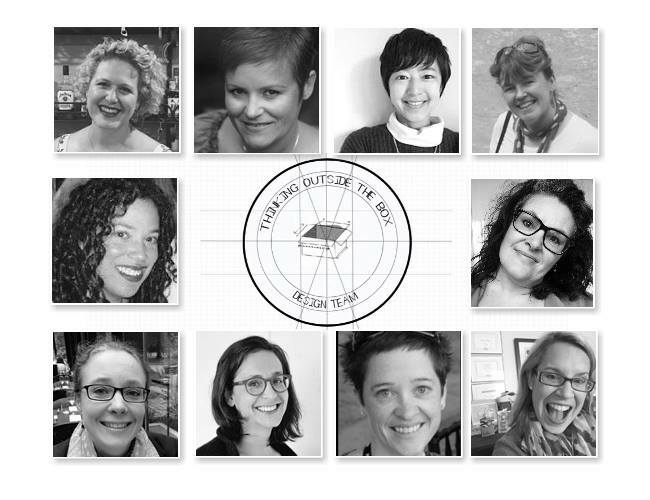 Don't leave us just yet because I know you will love Tanja Kolar's incredible project! Tanja makes sour cream containers in all shapes and sizes. . . Thanks for stopping by, stay sparkly! Welcome back to another exciting Fancy Folds blog hop, this month we are doing Fanfare Cards. 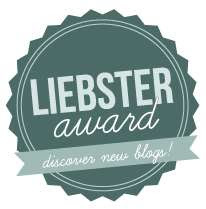 You are probably here from Gina's beautiful blog - wasn't her creation awesome?! I followed the easy to understand YouTube video training from Linda Bauwin, which makes this card fold a cinch! I converted the card to a square card and added an extra mountain and valley. 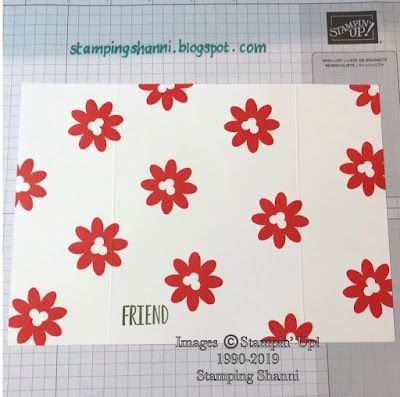 The base card is thick Whisper White and I scored and folded the card at a variety of widths in order to get the most balanced appearance. 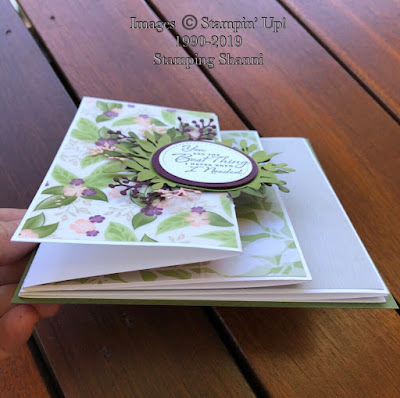 The whole card once created was mounted on a square of Mossy Meadow card to frame the project. This is a side view to give you an idea of the layers. The DSP is Floral Romance Specialty Designer Series Paper from the Occasions Mini - I used the floral vellum for the front, the Pear Pizzazz leaf print for the third and fourth panels and the whitewashed timber for the fifth panel. The front feature is the Foliage Frame Framelits cut out of Old Olive and Mossy Meadow. 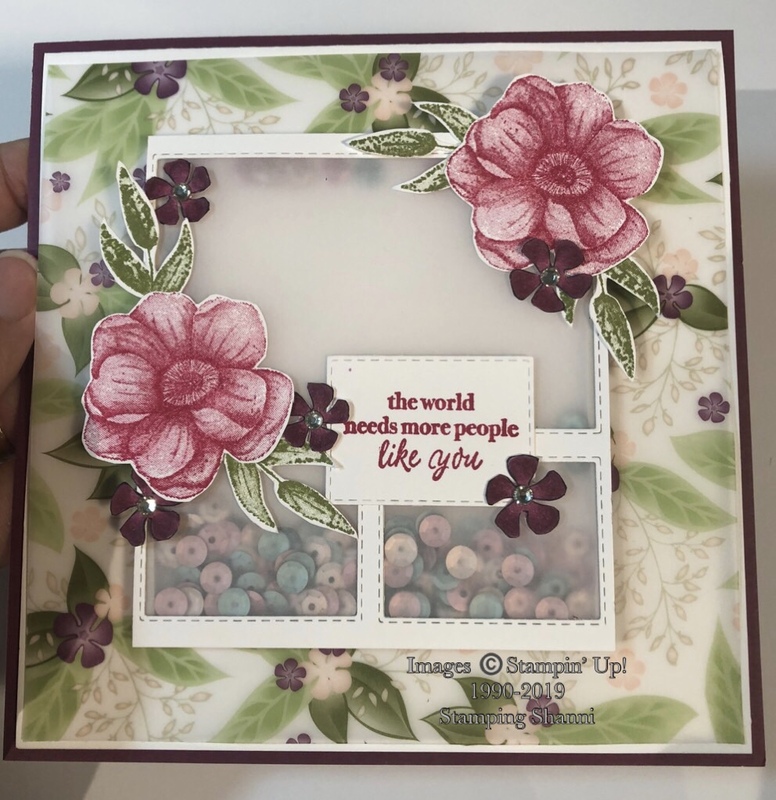 It's mounted with a circle of Blackberry Bliss cut with the Layering Circle Framelits and then the top layer is Whisper White card stamped in Blackberry Bliss - the sentiment is from the Wonderful Romance stamp set. The additional foliage around the outside are cut using the small budded framelits from the Wonderful Floral Framelits in Petal Pink and the berries die from Frosted Bouquet Framelit Dies in Blackberry Bliss. The Third facet is lined with the Floral Romance Specialty DSP as mentioned above. 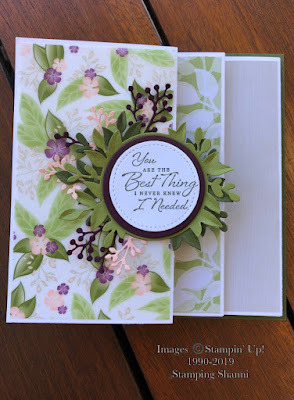 The sentiment is from Part of My Story (the now retired set), stamped in Mossy Meadow on Whisper White cut with the Stitched Edge Framelit Dies mounted on the oval from the Wonderful Floral Framelit Dies pack. 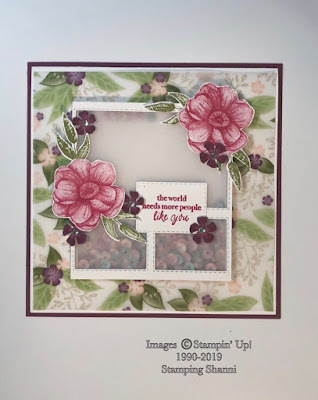 You can see that the second panel is actually mounted with a rectangle of Petal Pink card to provide a nice contrast. 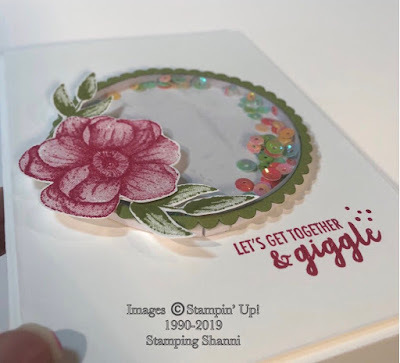 The fifth panel incorporates the stamped image from the Wonderful Romance stamp set, stamped in Tuxedo Black Memento Ink and coloured with the Dark and Light Blackberry Bliss, Dark and Light Old Olive, Dark Petal Pink and Light Granny Apple Green Stampin' Blends. Again the foliage at the background has been created using the the framelits outlined above - the Wonderful Floral Framelits and the Foliage Frame Framelits. 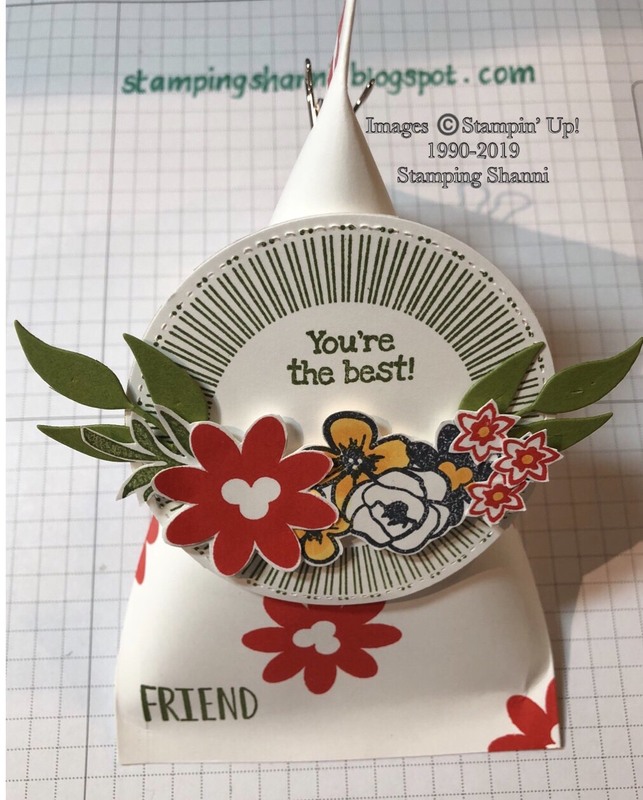 The sentiment is from the Colourful Seasons stamp set, stamped in Mossy Meadow and using the newly released punch from Sale-a-Bration to create the unique shape. 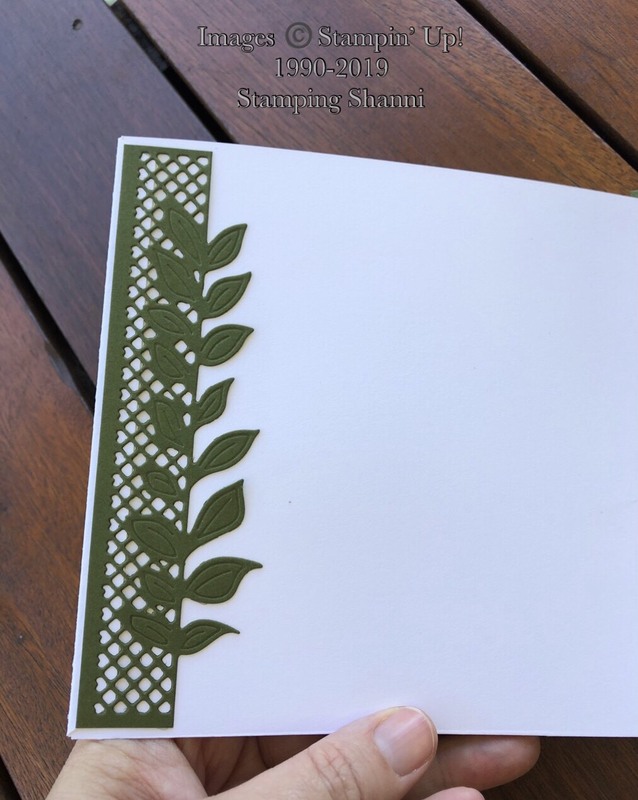 Inside the card proper, the place where you would write your message, I simply incorporated the lattice and leaves framelit from the Wonderful Floral Framelits set in Mossy Meadow. 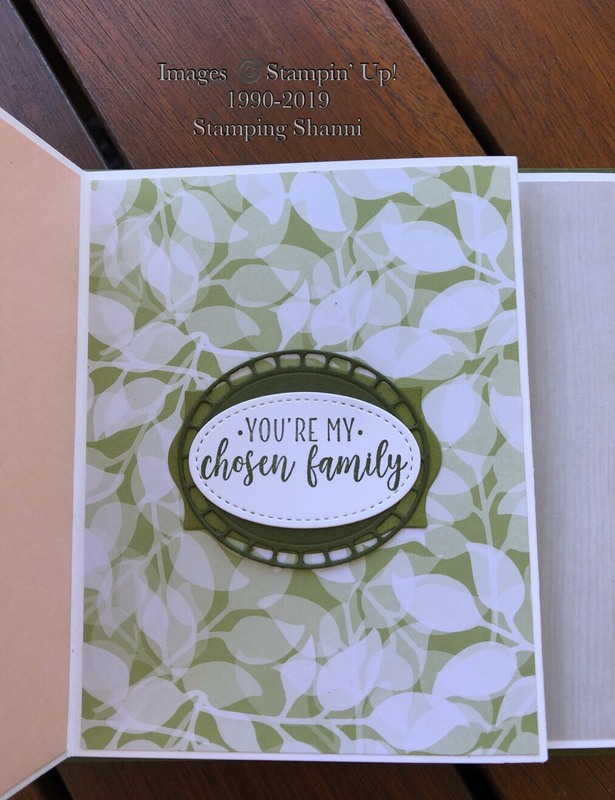 This breaks up the stark white of the sixth layer of the card. 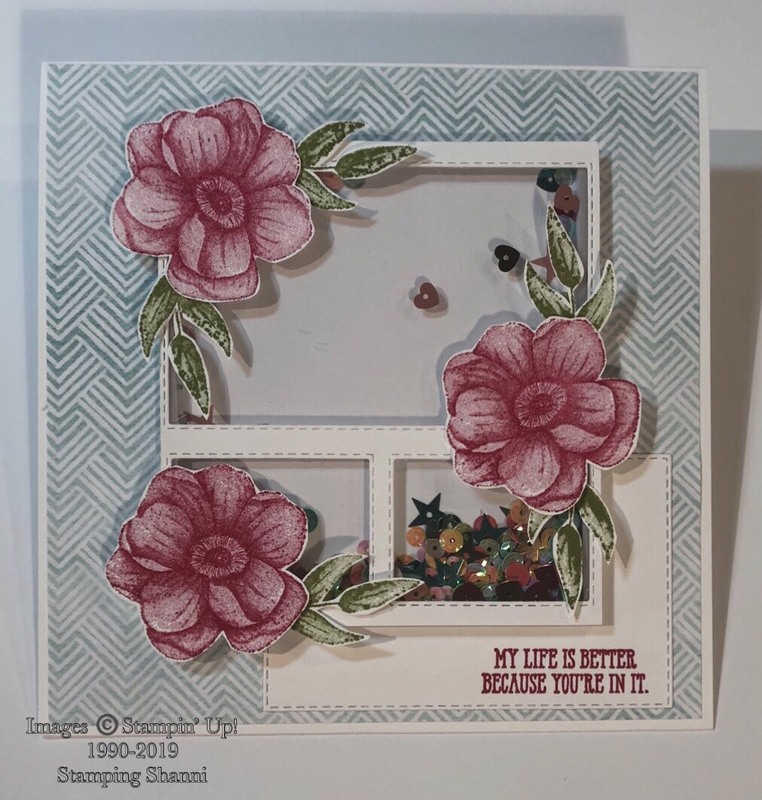 Finally the sentiment is again from the Colourful Seasons stamp set, stamped in Mossy Meadow and highlighted with a leaf cut from the Foliage Frame Framelit Dies in Old Olive card. 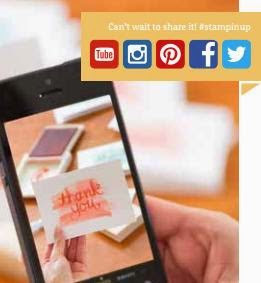 I hope that you have enjoyed the project and get the chance to try out one similar at home. 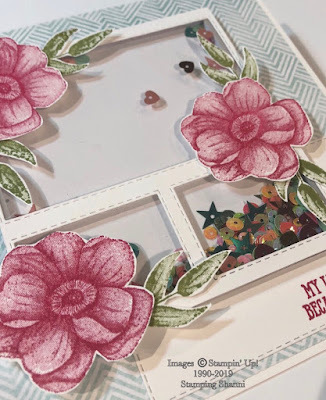 Don't leave us just yet as I am sure you are going to love Aude's stunning creation this month! Simply gorgeous! 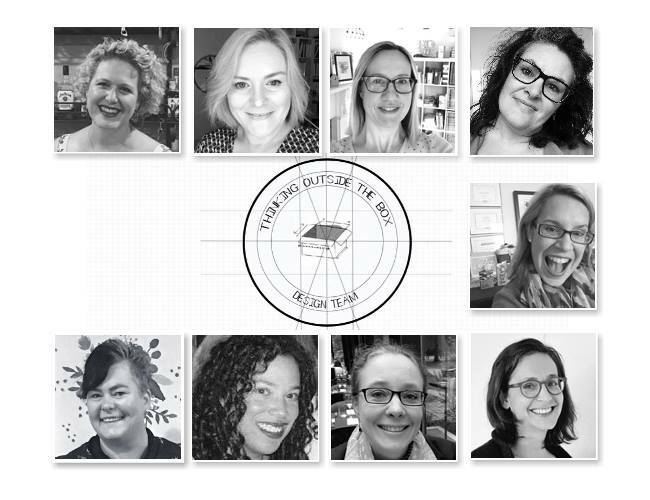 2.Shannean Moncrieff (Australia) that's me! 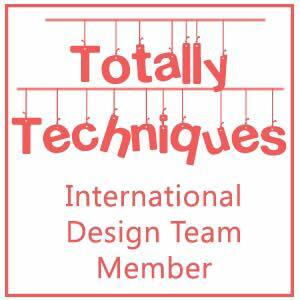 Welcome back to another Totally Techniques Design Team Blog Hop! 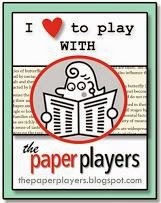 This month we are featuring Shaker Cards. The card is square (6"x6") made on a base of thick Whisper White card. I mounted it on a square of Rich Razzleberry card to frame up the image. 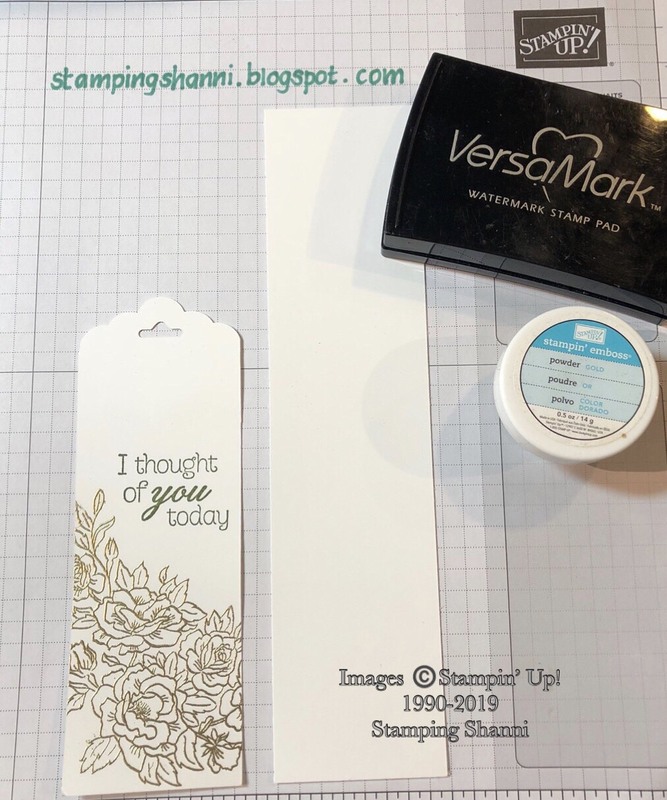 The DSP featured behind the shaker element is from the Floral Romance Specialty Designer Series Paper pack - the vellum is glorious and so easy to work with. 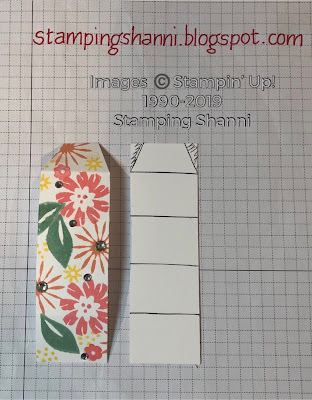 I adhered it with glue dots hidden behind the leaf patterns on each corner. 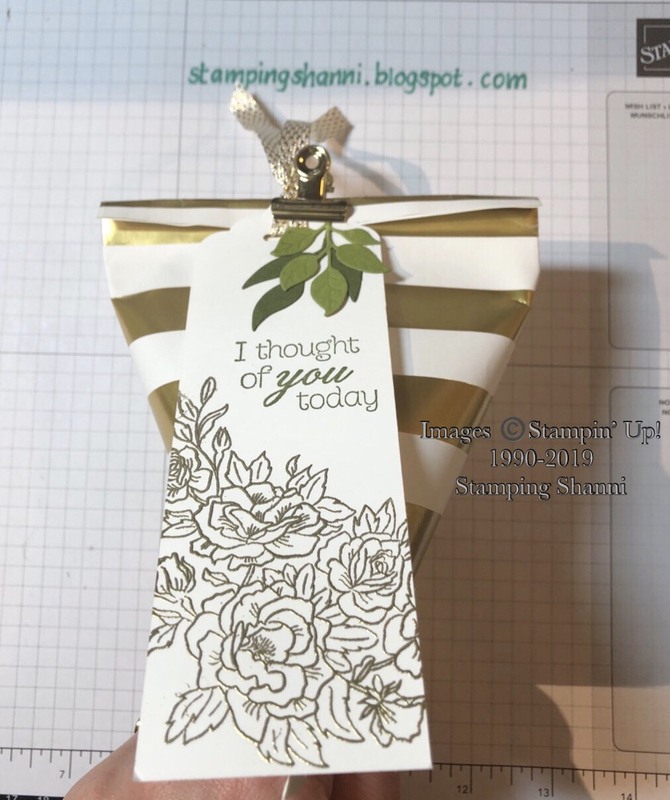 The shaker element is made with standard Whisper White card and Vellum card stock for a more subtle appearance and to blend with the vellum DSP I used two of the rectangle framelits from the Layering Rectangle Framelit Dies. I wanted the shaker element to look a bit like a window. 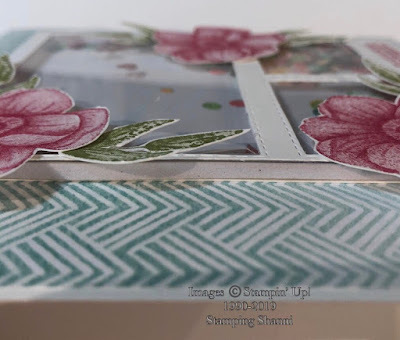 The stamped flowers are from Painted Seasons stamp set, stamped in Lovely Lipstick and the leaves in Old Olive. 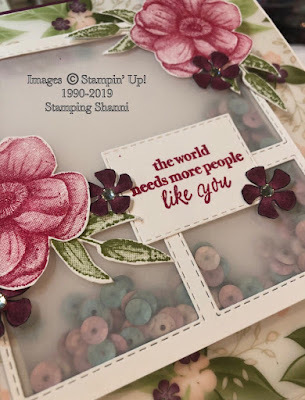 The smaller violet flowers are stamped using Tuxedo Black Memento Ink and the image from Wonderful Romance, coloured with Dark and Light Rich Razzleberry Stampin' Blends. I then fussy cut them out! 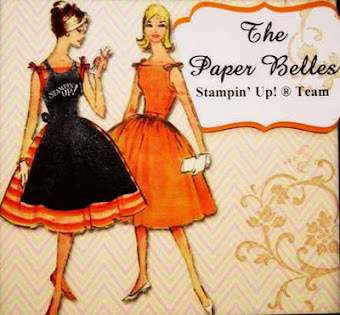 To get the best results with these distinctive stamps I have chosen to dauber the ink onto the stamps. There are matching framelits for the images. The sentiment is from the Part of My Story Sale-a-Bration set which is only available until tomorrow at 10.59pm Queensland time. . . I cut a matching size rear for the shaker element so that the pattern of the DSP did not show through the window of the shaker. Before mounting it together I added the sequins for the shake part of the element. 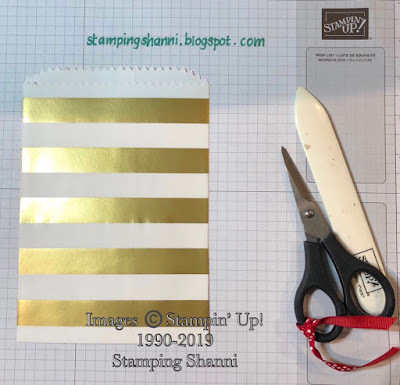 I used the foam adhesive strips to separate the top of the shaker and the base so that the sequins can move around in the void freely. A very easy card. 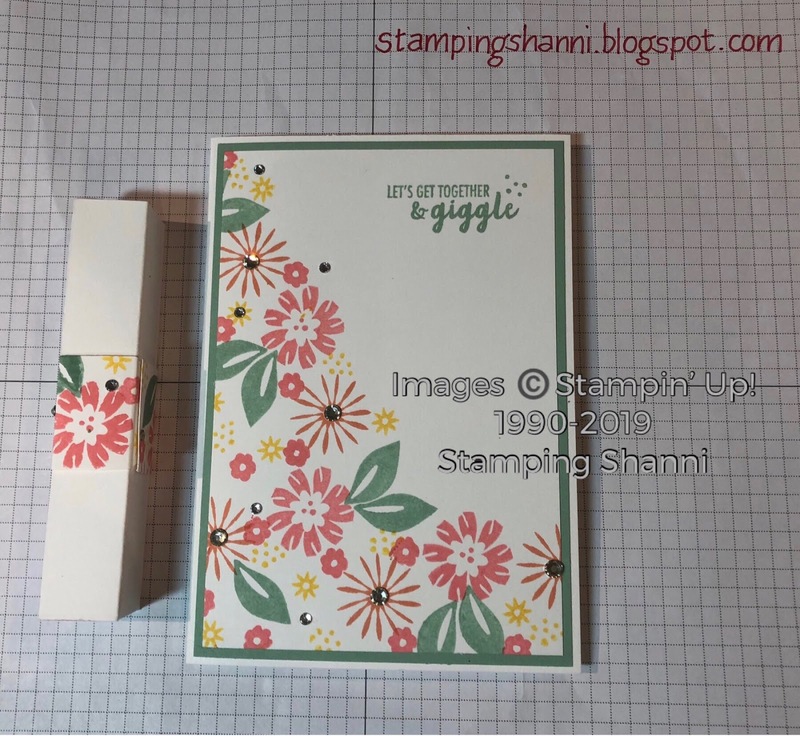 My second card is a similar design by made with Window Sheets instead of the Vellum card and with the Painted Seasons Designer Series Paper behind the shaker element. Again a square card made with thick Whisper White card - I like the weight of the card, it always makes the project feel more substantial and is a good balance for the shaker feature. Again I used the Layering Rectangle Framelits. I used the void from the larger rectangle for the sentiment and trimmed the right angle from the rectangle to align it on the corner of the shaker element. 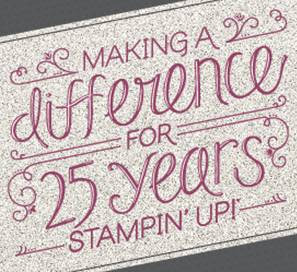 The sentiment is from Well Said in the Occasions cattie, stamped in Lovely Lipstick. All other elements are stamped in the same colours as mentioned above. You can see the depth in the shaker element and the clear Window Sheet means that the colour of the sequins are more stark agains the stamped elements. I love the subtlety of the DSP design and how it is distressed in areas. Standard C6 size card made with thick Whisper White and mounted with a rectangle of thiskc Whisper White card. 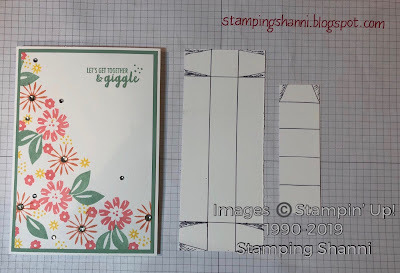 The shaker element was cut using the Layering Circles Framelits in Old Olive, Window Sheet and a further circle of Whisper White as I like to construct the shaker element and adhere it to the surface of the card. I always construct and fill the shake and adhere it together, then stick it on the card front. It's easier to build that way. I used Foam Adhesive Strips and kind of fed them around the edge of the Window Sheet and card frame. 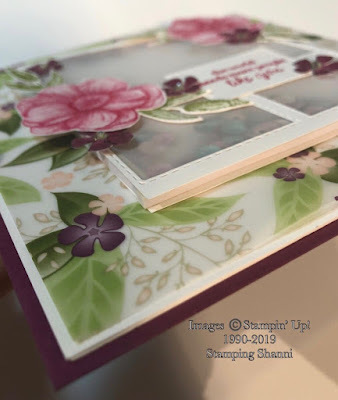 I always stick the protective layer (so the Vellum and Window Sheet) to the frame with Tombow glue. The sentiment is from Part of My Story, stamped in Lovely Lipstick. 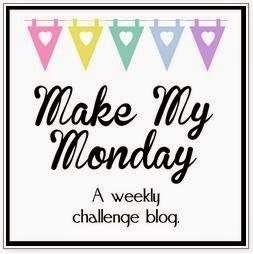 We are using a new linking system for our hop so you can move from blog to blog in your preferred order. 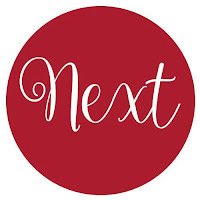 I hope you don't leave us just yet and that you find lots of inspiration! 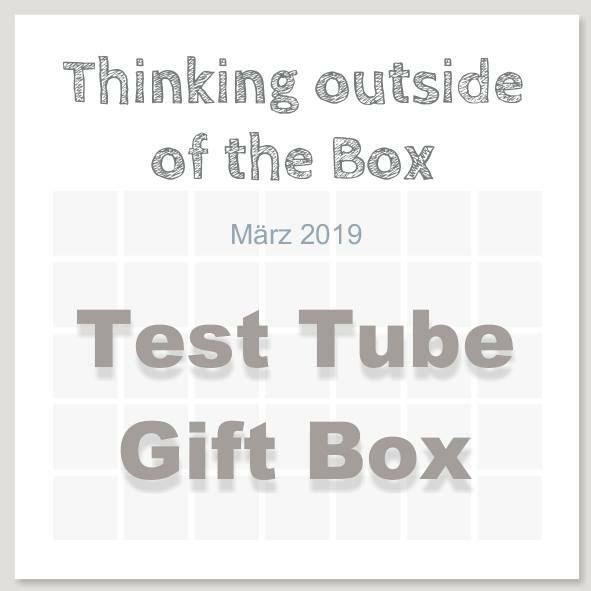 Welcome back to another blog hop with the Thinking Outside the Box Design Team - this month we are highlighting Test Tube Gift Boxes. I hope you are stopping by from the fabulous Fiona, who joins us for the first time as our Kiwi demo! 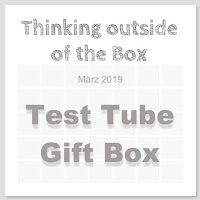 I made the matching card and test tube gift box for a fun gift. The base of the card is Thick Whisper White, mounted with a rectangle of Mint Macaron and mounted with another rectangle of Whisper White card stock. 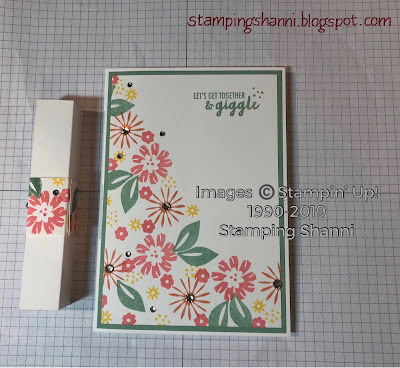 I stamped the flowers and leaves from the Bloom By Bloom stamp set in Flirty Flamingo, Grapefruit Grove, Daffodil Delight and Mint Macaron. 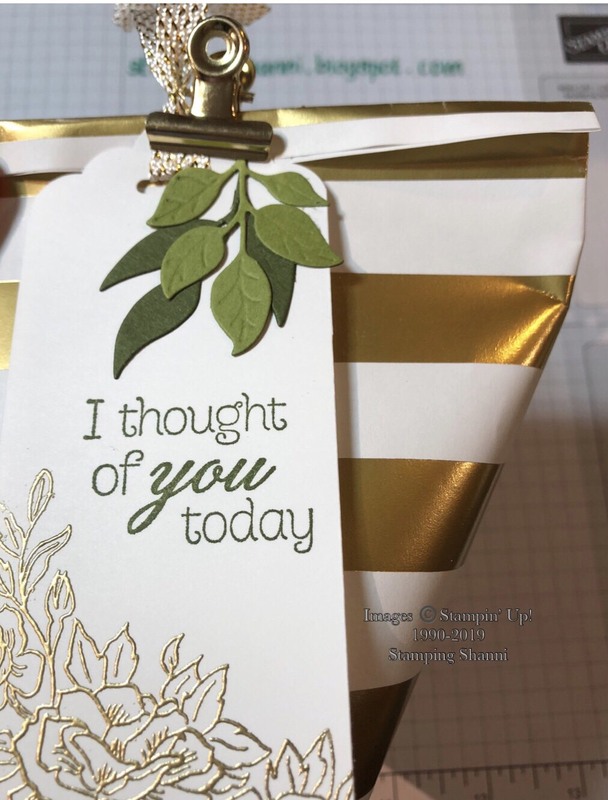 The sentiment is from Part of My Story (Sale-a-Bration set). I added Rhinestone Jewels for a touch of bling! 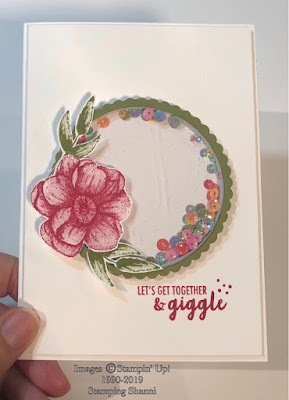 The box is really straight forward, I used Thick Whisper White card stock for both aspects of the project. The box base measures 6cm x 15cm. I scored at 2cm intervals with the card stock laying portrait. 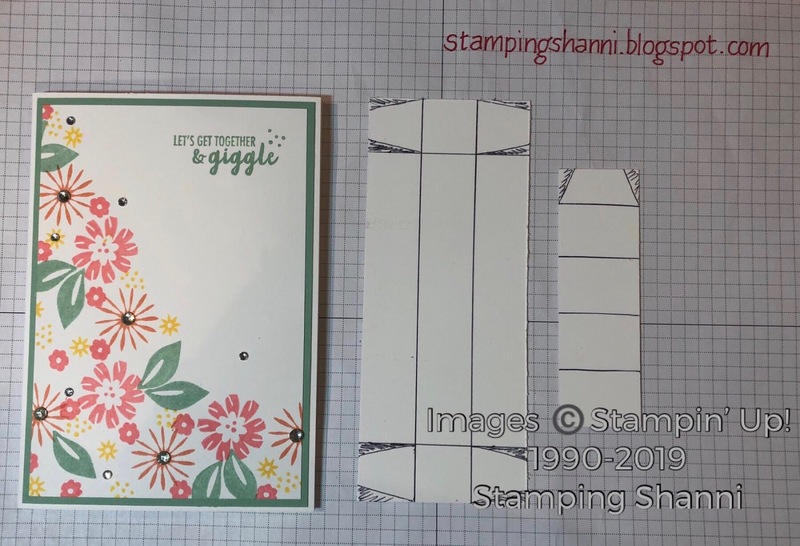 I then turned the card stock to landscape and scored 2cm from each end. 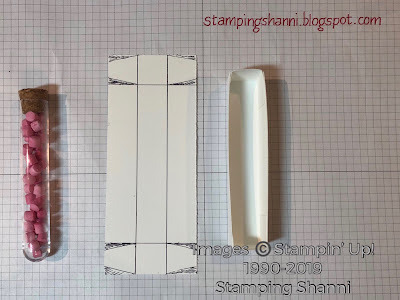 I then burnished the score lines and sniped each of the side tabs per the picture above, trimming a little more off the tabs to they could be adhered without hassle. The belly band is 3cm x 9.5cm. I scored the piece from the base every 2cm, this leaves a 1.5cm remainder. 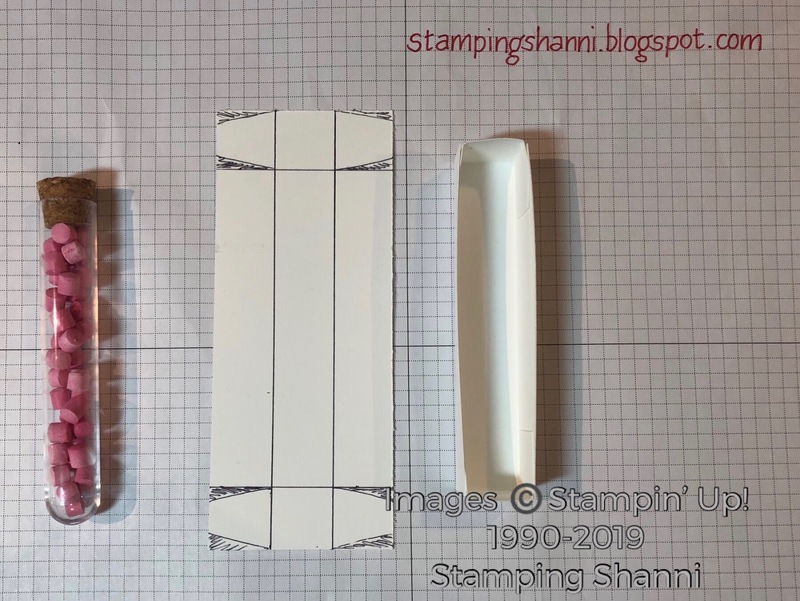 I trimmed off the edges on this remainder length per the diagram above - this is the adhesive tab. Once you have trimmed and burnished the score lines simply adhere the tabs at each end. 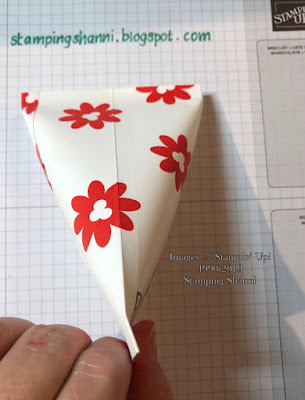 The box is very rudimentary, but fun and easy to make and use - it will come in handy for so many little treats. I stamped the belly band before cutting and scoring. 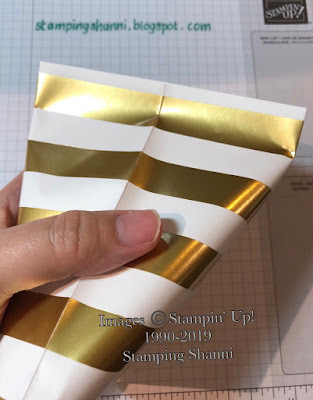 Make sure you burnish each of the folds so that the band slips perfectly over the test tube box. I hope that you feel inspired to make this easy project when next you have a cylindrical gift to package! 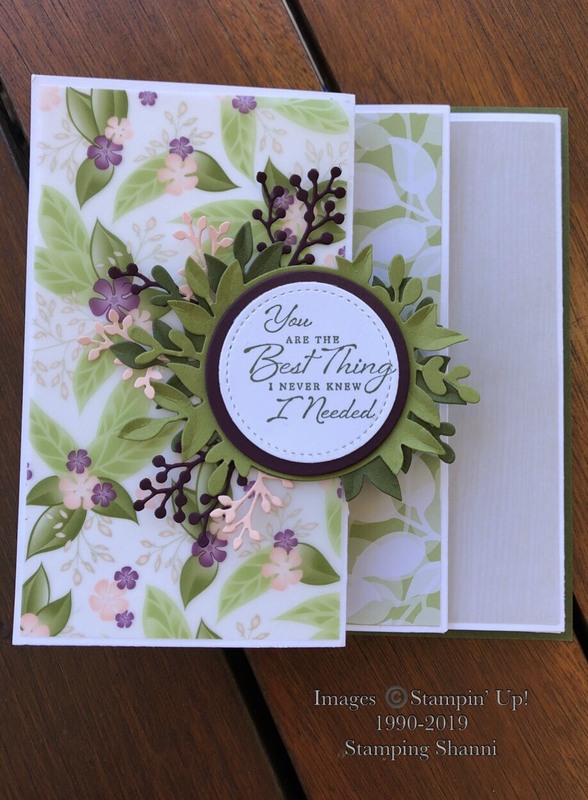 The box is quick and a great way to add some fun decoration to gifts for friends. Don't leave us just yet - we have a great project from Tanja which is super cute! 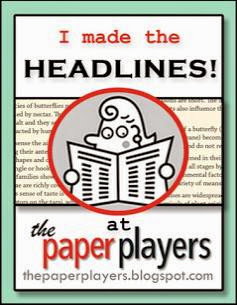 Shannean Moncrieff (Australia) that's me!